Henry Simon production has started! Alapala and Satake partnership initiated the production of the milling legend Henry Simon. 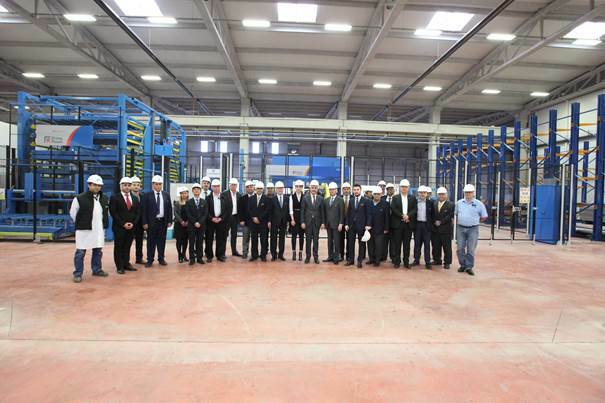 The pre-launch meeting was held between April 23 and 25, 2017 in Alapala’s headquarter in Çorum, Turkey. 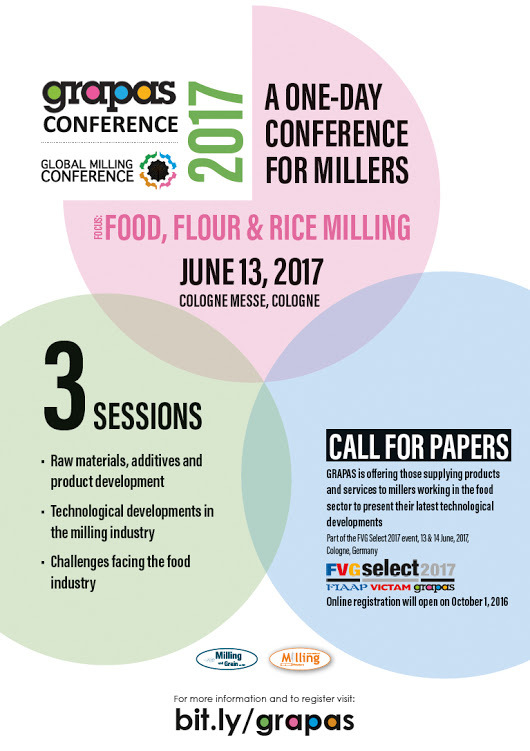 The new Henry Simon milling machines will be introduced at the 121st Annual IAOM Conference & Expo which will be held between April 10 and 14, 2017. This take off will be a prologue to the new era of global milling sector. Japan’s first power driven rice milling machine inventor Satake and 60 yearlong global grain milling technology provider Alapala had signed a strategic partnership agreement in 2015. Both companies had combined their production, R&D, sales, marketing and aftersales forces in the scope of this agreement. As a second and a further step of the agreement, Satake and Alapala regenerate the oldest and the best known, legendary brand of milling technologies. Henry Simon milling company was founded originally in England by the German engineer Henry Gustav Simon in 1878. More than 400 Henry Simon branded mills was established all over the world, with innovations such as the first double roller mill and the first PLC automation system. One of these 400 Henry Simon branded mills was “Hatap Un” which was established in Çorum in 1961. Also Mehmet Alapala, the founder of Alapala, entered to the sector by producing wooden sifter for “Hatap Un” mills. Following years, joining with Robinson Milling Company, Henry Simon brand was sold to Satake in 1991. By the year 2017, Alapala and Satake resubmit the Henry Simon brand to the market. Alapala’s capacity increasing investments, spare parts supply and aftersales services ally with Satake’s active sales network and gigantic R&D team to revive Henry Simon brand. With the force of Henry Simon brand and Satake partnership, Alapala will move up its worldwide power by reaching new more 55 countries in addition to its existing experience of more than 600 turnkey projects in 100 countries. According to Vietstock 2016 Expo & Forum organisers, the first day of the event has been a success. Thousands of trade visitors came from Vietnam and other ASEAN countries, attended the opening day of VIETSTOCK 2016 Expo & Forum. This clearly demonstrates the importance of Vietstock 2016 Expo & Forum as the premier event for the livestock, Feed and Meat industry. Feed millers, Farmers and Traders came to source equipment and Feed material in Vietstock 2016 Expo & Forum. In this exhibition, there are 300+ exhibitors from over 36 countries. It is a place for networking, learning and sharing experience. A common theme of the Opening Ceremony speeches was that Vietstock 2016 Expo & Forum is a unique event that provides valuable insights to help your business grow and succeed. The organiser has also announced the 7th Vietstock Award for Vietnam Feed, Livestock & Aquaculture Industry. This award is aimed to honour the organisations and companies that have significant contribution to the development of livestock industry. – Feed processing rose by four times: (from 4.3 million tons to 16 million, exclusively aquaculture feed), making Vietnam one of the top feed processing countries in the ASEAN region. In the near future, our industry needs to continue to transform into value chain processing, traceability, quality and safety enhancement, in order to be competitive locally and internationally. Vietstock 2016 Expo & Forum has attracted 300 exhibitors from 35 countries, including 52 companies from Vietnam. Vietstock 2016 will attract significant interest from companies and organisations to connect the domestic market with the regional and international markets. Vietstock 2016 will provide attendees the opportunity to access the latest products, technologies, and knowledge and market insights. This is also a chance to widen one’s network, find new distributors and partners, and promote our industry to the world. “USDA has offices in nearly every county in the U.S., and we want to remind people that we have a variety of services that may be useful in challenging times like this one,” said Agriculture Secretary Tom Vilsack. USDA National Institute of Food and Agriculture provides support for disaster education through the Extension Disaster Education Network (EDEN). EDEN is a collaborative multi-state effort with land-grant universities and Cooperative Extension Services across the country, using research-based education and resources to improve the delivery of services to citizens affected by disasters. EDEN’s goal is to improve the nation’s ability to mitigate, prepare for, prevent, respond to and recover from disasters., EDEN equips county-based Extension educators to share research-based resources in local disaster management and recovery efforts. The EDEN website offers a searchable database of Extension professionals, resources, member universities and disaster agency websites, education materials to help people deal with a wide range of hazards, and food and agricultural defense educational resources. For complete details and eligibility requirements regarding USDA’s disaster assistance programs, contact a local USDA Service Center (http://offices.sc.egov.usda.gov/locator/app). More information about USDA disaster assistance (http://www.usda.gov/documents/fact-sheet-usda-programs-assist-individuals-small-businesses.pdf) well as other disaster resources is available on the USDA Disaster Resource Center website. In a continuing effort to better serve the public, USDA has developed a new and improved central resource for disaster related materials. In partnership with the Federal Emergency Management Agency and other disaster-focused organizations, USDA created a Disaster Resource Center (http://www.usda.gov/wps/portal/usda/usdahome?navid=disaster-help) website, utilizing a new online searchable knowledgebase. This knowledgebase is a collection of disaster-related resources that are powered by agents with subject-matter expertise. The new Disaster Resource Center website and web tool now provide an easy access point to find USDA disaster information and assistance. JTIC 2016 – Paris Scores a Goal! The 67th JTIC (Journées techniques des industries céréalières) International Cereal Industries Show will be held 9-10 November at the Paris Event Center, Porte de la Villette, Paris. This 2016 Show intends to consolidate its 2015 success which crowned JTIC’s return to Paris. Last year’s event attracted more than 120 exhibitors and 2,600 visitors over two days, a 30% increase in footfall. Of them, 18% were international. Some 2,500 sq.m. of space is reserved for exhibitors, making it a truly exceptional Show dedicated to cereal industry professionals. Alongside it run 4 half-days of technical, economic and scientific conferences, laid on by the Board of AEMIC, the event’s organizing association. JTIC offers a raft of meetings on topics of interest to participants, as well as a workshops area available for businesses to promote their new products and services or to offer their expertise on a topic of their choice, a section dedicated to scientific and technical Research presenting their work in the form of posters, as well as a Job Fair, and a Business Incubator area. Online registrations are now open! – Feedback from various professionals: Nathalie Lepretre (Quality Director at Axiane Meunerie, participant in the Raw Materials Commission and the ANMF Working Group), Bruno Cothenet (CRS Director at Moulins Soufflet), Patricia Panel-Dusseaux (Marketing Manager at Limagrain Céréales Ingrédients) will join Fabrice Bosque and Charlène Poveda. INRA (National Institute for Agricultural Research) has been focusing on a nutrition problem that concerns every segment of the cereals industry: gluten. Whether nutritionally genuine or just marketing hype, many questions are being asked and science projects set up to understand how a protein that we have been eating for thousands of years may have suddenly become hazardous. Many factors are being invoked including genetic selection, harsher processing methods, gluten increasingly being added to more preparations… What do researchers say? What do professionals think? – Roundtable on the topic: Professionals and researchers: What can we together do to solve the gluten issue? The industry will be represented by Christine Bar L’Helgouac’h (Head of Quality and Valorisation, ARVALIS-Institut du Végétal) for upstream, Bernard Béjar (CEO of Céréales Vallée) for competitiveness hubs, Valérie Cami (General Secretary of Observatoire du Pain) for the processing sector, Brigitte Jolivet (President of AFDIAG, the French Gluten Intolerance Association) will report on consumer constraints, and Bruno Pierre (Valpiform) will talk about distributors’ expectations. Featuring innovation, the Workshops allow cereal industry suppliers and service providers (of decision support tools, seeds, phytosanitary products, additives, equipment & machinery, packaging, handling, I.T., labs, training, etc.) to present their latest products and services developed for producers, processors and users of cereals and cereal products. AEMIC offers them the ability to run a 30-minute conference with a potential audience of 50 customers and prospects. For the second year running, Aemic hopes to give young entrepreneurs a helping hand. To boost their visibility, the Association is offering a handful of them a shared space in the exhibition hall, the Business Incubator, which they can use to present what they do and meet potential prospects. They have to have been in business for 3 years to be eligible. The 5th Young Talent Competition, highlighting innovation, gives future professionals free rein to present their ideas and to participate in developing and promoting the cereals industry. It is open to any student of a business, agriculture or agribusiness school. At stake is a €3,500 prize for the most creative teams to share! The research carried out by schools, laboratories, institutes and firms in the cereals world are presented in the form of posters. As in previous years, this 23rd edition of the event is open to longer-term innovation projects. in 2015, Chopin Technologies, the Federation of Agricultural Wholesalers (FC2A), the French Federation of Commodity Brokers (FFSCM), the Bakeries Federation (FEB) and the Compagnons du Devoir sat on the jury and decided the winners from among the 21 posters. Two prizes were awarded to the most promising work with short- and long-term potential. AEMIC’s historical mission is to help put employers in touch with job seekers in the cereals industry. All companies, unions and recruitment agencies in the cereals and agri-food industry can use its placement & recruitment service to find new candidates. The AEMIC job pool consists of all its members, offering a wide range of experience, qualifications and educational backgrounds. In addition to supporting professionals and students looking for positions and posting vacancies throughout the year, the association sets up a Job Fair at the JTICs as a privileged opportunity for job seekers and employers to get together. It allows vacancies and CVs to be posted and viewed, appointments set up, and more… for the two days of the event. Find AEMIC on social networks and keep up to date with JTIC news on Facebook and Twitter #JTIC2016 and #aemic. Kearney, NE – Chief Agri/Industrial, a division of Chief Industries, Inc. announced today that they have developed new technology that significantly reduces maintenance and emissions that works alongside its Commercial Dryer series. 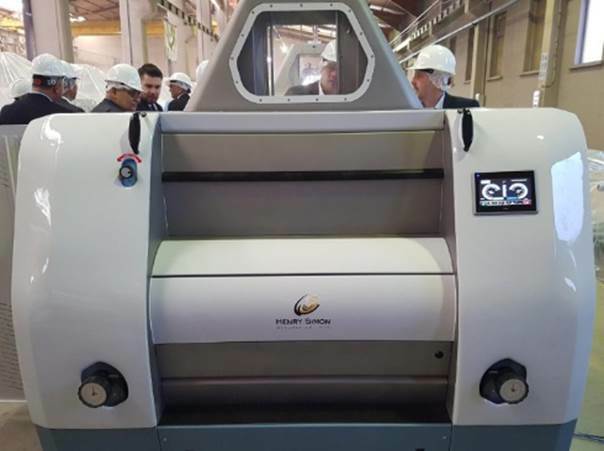 The Chief Commercial Dryer, including self-cleaning EcoGuard System (patent pending), addresses the increased demands to reduce dust emissions in the grain industry. Chief considered engineering a system with these capabilities after a Chief representative saw a customer’s need for dust reduction and minimizing maintenance. Chief’s engineering team responded with excellent customer service, attention to detail, and was able to engineer the EcoGuard System. “In 2014 we decided to purchase a dryer from Chief Industries. We knew there would be some changes to be made but Chief was willing to go the extra mile to help us and hopefully other communities in the Grain Industry. In 2015 Chief changed a couple of things to help “reduce emissions in the package”. After the harvest season was complete the locals sent a spokesman to our office to let us know they were satisfied with the changes!!! I have been in the Grain Business my whole life and was totally amazed with how many Bee’s Wings there are in corn. With this system you can actually watch the amount taken out. It is worth seeing it to believe,” said Doug Kavanagh, Operations Manager of Glacial Plains Cooperative. “Chief is proud of the latest addition of quality products to broaden the range of Chief’s equipment offering and meet the needs of our ever-growing customer base.” said Roger Townsend, President of Chief Agri/Industrial. Chief Agri/Industrial Division manufactures a complete line of commercial and farm storage, Caldwell grain conditioning, bucket elevators and conveyors, support structures, grain dryers, and modular bulk storage systems. Established in 1954, Chief Industries, Inc. is a diversified organization providing a broad range of products and services on a global basis through its many divisions and subsidiaries. For more information, contact Chief Agri/Industrial, agri@chiefind.com. DULUTH, Ga.–(BUSINESS WIRE)–Jun. 29, 2016– AGCO, Your Agriculture Company (NYSE:AGCO), a worldwide manufacturer and distributor of agricultural equipment, announced today that it has agreed to acquire Cimbria Holdings Ltd. for approximately $340 million from Silverfleet Capital. Cimbria, based in Thisted, Denmark, is a leading manufacturer of products and solutions for the processing, handling and storage of seed and grain. The transaction is subject to regulatory approval and is expected to close in the third quarter of 2016. “The AHDB focus remains unaffected by the decision to leave the EU – to equip levy payers with the tools to become more competitive and sustainable. “Amongst other issues, the decision to leave brings to the fore the need for UK Government to target the best new trading relationships we can for UK food & agriculture both with the EU and other countries. “AHDB has the skills and expertise to contribute to this work in areas such as market prioritisation, market access negotiations and facilitating relationships between UK exporters and overseas buyers. We stand ready to support the industry in identifying how it can best compete outside the EU. AHDB is a statutory levy board, funded by farmers, growers and others in the supply chain. Its purpose is to equip levy payers with independent, evidence-based information and tools to grow, become more competitive and sustainable. Established in 2008 and classified as a Non-Departmental Public Body, it supports the following industries: meat and livestock (cattle, sheep and pigs) in England; horticulture, milk and potatoes in Great Britain; and cereals and oilseeds in the UK. The AHDB’s remit covers 75 per cent of total UK agricultural output. Further information on AHDB can be found at http://www.ahdb.org.uk/. MINNEAPOLIS, June 20, 2016 – Registration is now open for two grain handling operations courses from the Grain Elevator and Processing Society (GEAPS) and Kansas State University (K-State) Distance Education Program. These online courses run from July 18 – Aug. 19, and registration closes Wednesday, July 13. It is the first time GEAPS and K-State have offered courses in July. Courses are open to anyone, even if they are not a GEAPS member or a student enrolled at K-State. Online registration and more information on individual courses are available on the GEAPS/K-State Distance Education Program website. This course offers an introduction to the key purposes, equipment and processes of grain handling facilities with an emphasis on safety. This course allows new employees to gain valuable insight into the industry. It also helps seasoned employees enhance their skills. Participants learn how to identify problem areas, perform preventative maintenance and use equipment and systems to prevent entrapment. Lectures address government regulations, grain unloading and reclaiming, grain bin safety equipment and emergency preparedness. GEAPS 500 is one of six courses required for the Credential in Grain Operations Management from GEAPS and K-State, while GEAPS 545 is required for a Specialist Credential in Property and Casualty Risk Management. Learn more about the credential program on the GEAPS website. Tuition for GEAPS/K-State continuing education courses is $670 for GEAPS members and $850 for non-members. GEAPS also offers flexible group training options, including courses on-demand and volume discounts. For more information about the courses or to register, visit the GEAPS website, contact Katya Morrell or call (763) 999-4300.